Extremely fortunate to come to His lotus feet when she was just a tiny girl in the 1940s, Mrs. Karunamba Ramamurthy, lovingly addressed as Kannamma, has a priceless treasure trove of incredible memories of the yester years. 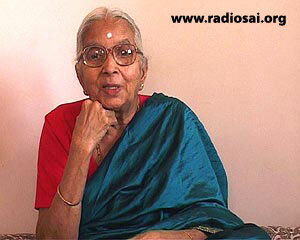 She is also the author of the famous book "Sri Sathya Sai Anandadayi - Journey with Sai". This is the second part of her wonderful reminiscences. 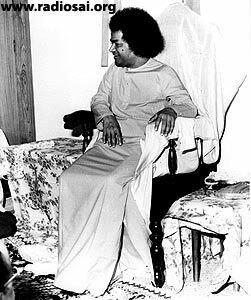 Q: When did Swami visit your house and how did you react to Swami’s presence in your household whenever He came on a visit? Also, how old was He then? Kannamma (K): Swami was only a young lad of about nineteen or twenty years. Whenever devotees performed padapuja (worshipping His Lotus feet) to Him, He accepted it all. Swami used to talk to the puja participants and give them vibhuti prasadam. Food was then served to Swami and to all who had gathered. 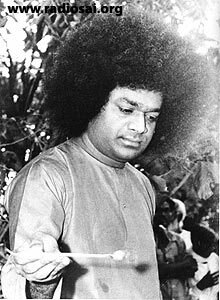 During the meals Swami Himself used to offer prasadam to all; He used to eat a little and distribute the rest as prasadam to all! Mr. Ramachandra Shetty of Mysore used to invite Swami to his house. Those of us who were nearby also used to go there during Swami’s visits. In fact, Swami used to visit all our houses – we were only about three or four devotees in Mysore then. Q: Did you have a separate room for Swami? 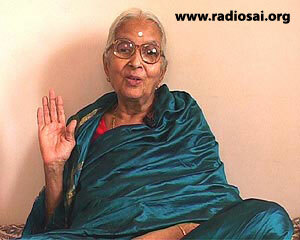 Q: Your mother was very devoted to Bhagavan and was fortunate to have interacted with Him. Could you narrate a few of her experiences? K: There once lived a woman called Venkata Lakshamma in a hamlet called Namadala near Dharmavaram town. This woman was referred to by the villagers as a yogini (ascetic). This woman once visited our house. Unaware of who she was, we used to find her ways amusing. She used to be very silent, not talking too much to anyone. Often at nights, she used to sit and do japam (chanting His name); she wouldn’t lie down and sleep. My mother was impressed and thought that Venkata Lakshamma was powerful, practicing pranayama and other spiritual exercises. My mother was enthusiastic to learn from her. And eventually, she invited my mother to her village to initiate her to a sacred mantra. She told my mother that she would be emancipated by the chanting of that mantra. That is why, as I told you in an earlier interview, Swami refused to initiate my mother saying she was already initiated and asked her to continue with the same mantra. Whenever Swami went to the Chitravati river, He took devotees and children along with Him, without leaving anyone in the Mandir. Just like a flock of sheep we used to follow Him. Once we all went for such a trip to the holy river. My mother sat a little away from the group. Swami created many things and distributed to all around. He also created medicine for those in need. One minor, though interesting, point to note is that even though His hands were under the sand, not a grain of sand used to stick to His fingers. After distributing such prasadam and things to those around, He called my mother. Swami commanded her to take a handful of sand herself and see what was inside it. To her surprise, she found a small paper roll. My mother told Swami that as her vision was not clear, she would read it once inside the Mandir. Swami agreed. When she opened the small roll of paper later, much to her surprise, she read the same mantra that Venkata Lakshamma had initiated her to. Any vapor of doubt totally vanished after that. Swami commanded her to take a handful of sand herself and see what was inside it. To her surprise, she found a small paper roll. My mother told Swami that as her vision was not clear, she would read it once inside the Mandir. Swami agreed. When she opened the small roll of paper later, much to her surprise, she read the same mantra that Venkata Lakshamma had initiated her to. My mother treasured that small piece of paper all her life. About a year later, the new Mandir came up. Hearing about Swami, Venkata Lakshamma came to Puttaparthi to see Him. There she met Mother Easwaramma. She also met my mother here and enquired about her about the progress of her spiritual efforts or sadhana. My mother told her that Swami had confirmed the initiation and the mantra. My mother, however, also told her that despite constant repetition of the mantra, she seemed to be going nowhere. Venkata Lakshamma used to live near the old Mandir. 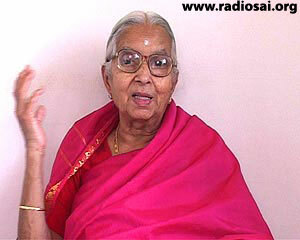 Once, Easwaramma visited the old Mandir. When they met, they both hugged together and felt very happy. It was more than a coincidence that earlier Easwaramma and Venkata Lakshamma lived together in a house in Kothacheruvu village. Q: We have heard that Swami Himself had operated upon a devotee called Tirumala Rao. Could you please narrate to us about that divine operation? K: The operation took place during the inauguration of the new Prasanthi Mandir. At that time Saubhra, Sundramma and I were present. The operation occurred a few days before the inauguration of the new Mandir. Tirumala Rao was an ardent devotee of Bhagavan. When his wife was working in Madras (now known as Chennai), he suffered a terrible stomach ache, something similar to appendicitis. He and his wife consulted doctors in the city. The doctors examined him and concluded that there was a severe problem and that even an operation may not solve the problem, in fact, they did not even guarantee his life. They emphasized that only if he signs the risk clause, would they consider operating him. His wife then thought that if he has to die, why should he die in the hands of these doctors? Rather, it is better to exit this world in Prasanthi Nilayam in Swami’s presence. Thinking thus, she brought him to Swami’s physical presence. She surrendered to Swami. “Oh Swami, I don’t know whether You will save him or not. With full faith in You I have brought him to Your feet.” Swami asked them to wait. The next morning was the inauguration of the new Mandir. All items required for the inauguration ceremony were stored in the old Mandir. Swami said, “You let him sleep beside Me in Subbammma’s house.” Hence, Tirumala Rao slept there. But lo! When he got up next morning there was no pain in his stomach. There was no trace of ulcer or any unusual growth inside! Everyone was amazed. On that night, Swami patted on his stomach and cured every thing miraculously with one touch and with in a day or two he got the New Mandir inaugurated. Tirumala Rao was supervising the construction of New Prasanthi Nilayam work along with two other devotees. His wife was actually worried that they may not be able to attend the inauguration function. Q: I think that was the first operation that Swami performed. K: Yes! It was His first operation. Tirumala Rao did not know even that an operation was performed on him! Q: You told us earlier that Venkamma used to ask Swami to offer arathi! Please share some details. 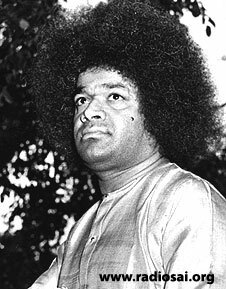 K: In those days Swami used to offer arathi to His previous incarnation, Sri Shirdi Sai Baba, whenever a devotee came to Him complaining about a snake bite or scorpion sting. After Swami offered the arathi, the devotee’s pain used to vanish miraculously! In fact, whenever Swami was hungry, He offered naivediyam (sacred food) to Shirdi Sai first and then ate. Swami used to offer fruits and flowers to deities Himself. In fact, even when Swami was present at the Venugopal Swami temple, whenever a marriage procession came there, they used to offer arathi only to the deity and neglected Swami! The village folk of those days were still not aware of His divinity. At other times, whenever someone wanted to cast away an evil spirit, they used to come to Swami. Swami even in those days never used to touch women. He used to take hair from His feet and tie them together. He would then create a yantra and place the hair inside the yantra. This was tied to the wrist of the sufferer as a talisman. The evil spirit would be instantly exorcised! Some onlookers would question Swami as to whether the spirit would return on their children. To this Swami would say, “I have closed its nose so that it cannot breathe. Further, I’ve controlled it by the yantra.” In those days such ‘spirit’ possessed sufferers occupied almost half of the old Mandir hall. Many young men used to visit Swami in those days. They had all sorts of queries in their minds. Some wanted to know whether they would get married, others wanted to know about their jobs. Swami used to advise some people to marry while others He dissuaded. He questioned the young men about the jobs they sought. He insisted that they should not join the police force or become advocates. If anybody professed an interest to join these vocations, He became unhappy. He used to say that these jobs had the power to punish. He was against any innocent being punished wrongly on the basis of false witnesses. Swami advised young men not to be lured by foreign countries. He used to say that people can go to foreign countries, but should not settle there. They should always remember India’s eternal heritage. He used to emphasize that there is no other country which can be compared to India in the upkeep of eternal heritage. In those days, rich Zamindars (land owners) used to visit Swami. However, they feared Him because Swami spoke openly about their secrets amidst all devotees. Some village folks misunderstood Swami and felt very angry. They felt that Swami would take money from the rich and would materially look after the welfare of the village. When Swami didn’t seem ‘material’ enough, they became dissatisfied and started dissuading devotees and visitors from visiting Swami. In the place where the old Mandir was constructed there once existed a big Tulsi garden. A sage called Narayana Rishi is said to have performed austerities here a long time ago. Also, this is the place where Valamiki Maharishi is also believed to have performed penance. That is why this place acquired prominence. Once Swami asked us whether we knew the story of this temple. The story goes like this: One day a cowherd noticed that his favorite cow contained no milk in its udder when she returned after the day’s grazing. To know what was happening, he secretly followed her and watched her movements. What he saw astonished him! The cow slipped out of the shed leaving her young calf with her sister and proceeded to an ant hill on the outskirts of the village. He followed her to her rendezvous only to witness an even more astounding spectacle! From the anthill emerged a snake and started feeding itself from the cow’s udder. Enraged at the loss he was subjected to, the villager lifted a stone and taking a good aim hit the snake. However, before it died it cursed all the cowherds of the village. Its last words foretold that the village would soon be full of anthills. Needless to say, very shortly anthills spread all over the place and the village came to be known as Puttaparthi. Later, a cowherd went and dug the snake pit and found an idol of Venugopala Swami. The idol had a wedge on one side and red streak over it, suggestive of the blood of the killed snake. Sometime later, a local chief known as Palegras built a temple and installed the idol in it. From that day onwards, the curse lost its potency and cattle began to thrive at Puttaparthi. 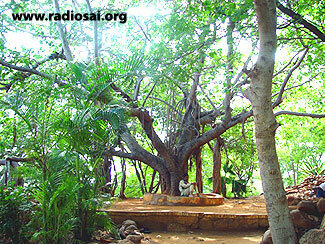 We all have read about saints meditating while sitting under banyan trees. Even the Buddha did penance under a ‘Bodhi’ tree and got enlightenment. Swami once told to us that He will create a copper plate yantra and plant a tree over it. In the future, this place would also become a Tapovanam (place of penance). Swami once materialized a copper plate bearing inscriptions, from the sands of Chitravathi. On that day we were seated around Swami. He levelled the sand before Him and wrote something on it with His finger. He then dug His fingers in the sand and brought out a thick plate of copper with inscriptions on it. Then Swami declared that the next day He would take this plate and install it under the roots of the Vata Vriksha tree. He also stated that whoever sits under the tree and meditates, would be granted peace, happiness and wisdom. During one conversation Swami said that in His next avatar He would be in a village between Mysore and Bangalore. He said that the essence of His teachings in this avatar would be received in full by devotees in His next avatar. On why He chose to take three avatars sequentially, He said that humanity will not be able to withstand His colossal power had He come as a single avatar. Sakamma (a respected coffee estate owner who was very devoted to Swami) told me this amazing news once during a conversation. 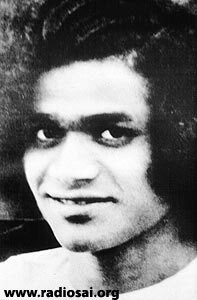 Once while travelling to Bangalore from Mysore, Swami had mentioned to the group that was travelling along with Him (of which Sakamma was a part) that he will take birth again in Karnataka. Swami had got down on the road and told the group that this would be the place. He had also mentioned that he would take birth in the household of a poor basket maker. He then resumed His journey. Once (during the days of the old Mandir) my mother and I were seated along with a couple of other women devotees during darshan. A women and her husband had come to see Swami. The gentleman seemed to be suffering from constant stomach ache. He felt that it was due to excessive heat as he had the habit of eating spicy food. Hence he ate everything that reduced heat. When Swami came out, we asked Him to cure the poor gentleman as he was suffering greatly. Swami said that He would do something for the devotee, but he did nothing and six months passed by. On a certain day, my mother and younger sister happened to be sitting in the bhajan hall of old Mandir. Swami sent for the suffering devotee and told him to lie down. Swami told the man that He himself would perform an operation on him to cure him of the ailment. “It will not give you any pain. You can eat fully afterwards,” Swami said. All the devotees present were looking on. There appeared to be a bud-like projection that was emitting pus. Swami washed His hands and with just His finger made an incision into the man’s stomach. He then removed the lumpy mass with His bare hands. Swami then cleaned his stomach and washed His hand. He did not stitch the wound. Four stitches formed automatically closing the incision. Swami then told the devotee to rest and to consume substantial food only at nights. The devotee’s wife asked her husband as to how his stomach felt to which he replied that there was totally no pain. In the evening Swami asked us to cook food and serve the devotee. Swami was looking on while the gentleman was eating. There appeared to be a projection on his stomach. Swami with His bare fingers removed the lump of pus. No knife was used, no running doctors nor attending nurses. Swami was once talking to Dr. Alreja in the bhajan hall of the old Mandir. Swami told him that the Rama avatar and Krishna avatar had come, completed their mission, and left in their respective eras... and they would do so again in the next cycle. But the Sai avatars are unique. The Sai trinity would not come again in subsequent Kali Yugas. So do not miss this opportunity. He added that this is the first and last of its kind so make full use of this avatar. He also told the devotees to spread the message of the Avatar for the benefit of mankind. My mother’s brother-in-law worked at the Julas railway station in Karnataka. He was a severe diabetic. To top it, he was very short tempered and used to often scold people. He even used to beat my aunt. One day he scolded my mother at the railway station. My aunt was unable to bear this behavior of my uncle. She beseeched my mother to take him to Swami as He alone could cure the person of his problems. My mother agreed. My uncle overheard this conversation, but he agreed to come to have Swami’s darshan! They planned to go to Puttaparthi during the Dassara festival. As a part of the celebration, devotees had prepared varieties of food. There were sweets and rice dishes of many kinds. Swami asked all devotees to sit down while He served them Himself! As Swami came down the aisle serving all, He put a large measure of Sweet rice (chakarapongal) on my uncle’s leaf. My uncle pushed the portion out of his leaf due to his condition. 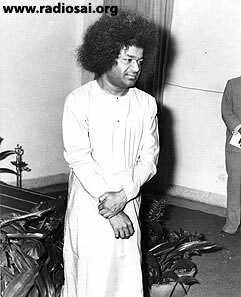 However, Swami turned back and told him, “I know that you are a diabetic, however, I want you to eat it!” My uncle took back the portion he had pushed away and ate it. Three days later when he went to the doctor to get his blood-sugar level tested, the doctor was surprised. There was no trace of diabetes in him – he was miraculously cured of the condition! Due to his anger Swami used to call him Durvasa, after the popular sage of yore who too was known to be very short tempered. Swami told my uncle that his health is okay. However He also warned my uncle not to give vent to anger anymore and to control his tongue. Swami then created a Rudraksha mala (special rosary) and presented it to him, asking him to wear it. From that moment on, my uncle became a changed man!